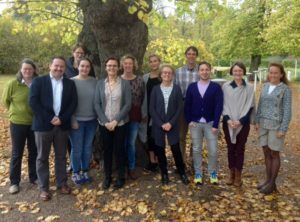 The last FareWellDock project meeting was held in Vejle, Denmark, October 27 and 28 2016. We first discussed the stakeholder meeting in Grange, Ireland. We contributed to the meeting with several presentations. The presentations of the meeting can be accessed here. The video recordings will be available for some time after the meeting via this link. Striking differences exist between EU countries on their attitude and effort regarding tail docking. The progress in the various work packages was discussed. We are on schedule in terms of milestones and deliverables. Tail biting is a problem that may easily be overlooked. Sometimes all pigs in a pen turn out to be affected only after detecting the first pig. A standardized protocol could improve the recording and management of tail biting across research projects and across member states. 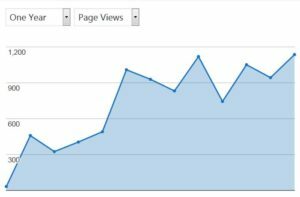 Over the past year our website has been visited more frequently (see the figure below). This year (2016) FareWellDock project will end as a project and we intend to continue as a network. Interested scientists and other interested persons are invited to join the mailing list (please contact Anna.Valros @ helsinki.fi ).